Are you looking for Affiliates that share your company’s love for travel, adventure, technology and the outdoors? Pau Hana Travels, LLC uses today’s social media platforms to share our travel experiences and produces informative and educational videos on RV life and beyond. 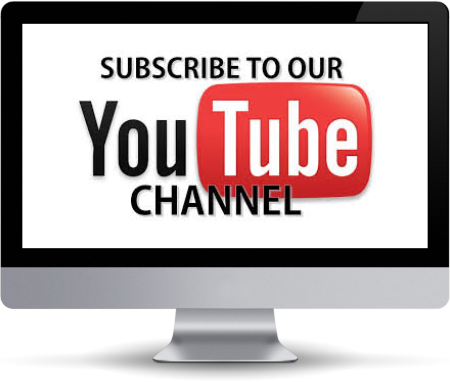 Check us out on Youtube, Facebook, Instagram and Twitter! We are open to sponsorships, advertising partnerships, blogging, reviews, and more. Send us an email today at pauhanatravels@gmail.com to start the conversation and add your name to the list! Battle Born Batteries are made in Reno, Nevada – the Battle Born State. Our batteries are the height of lithium ion technology. We only use LiFePO4 (Lithium Iron Phosphate) in our packs, this is the safest and most reliable chemistry of lithium ion available. They outperform and outlast all other batteries in their class and below their class (lookin’ at you, lead acid batteries). The best part? They’re easy on the planet and your wallet. 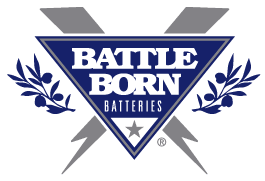 We are proud to be sponsored by Battle Born Batteries and we look forward to sharing our monster Battle Born story with our ten BB5024s lithium batteries in a monster 24v system. We are a paying customer with a reviewing relationship with Battle Born Batteries. Find our favorite travel gadgets and gizmos at www.amazon.com/shop/pauhanatravels. Support us for free when shopping at Amazon. You pay the same price and we receive a small commission. We are a participant in the Amazon Services LLC Associates Program, an affiliate advertising program designed to provide a means for us to earn fees by linking to Amazon.com and affiliated sites. Boondockers Welcome is built by RVers, for RVers and we have been active members with Boondockers Welcome since 2014 not only as users but also as hosts.Boondockers Welcome is built by RVers, for RVers and we have been active members with Boondockers Welcome since 2014 not only as users but also as hosts. By definition, RVers love to travel, and want to do so comfortably and affordably. They know first hand that RVers will welcome each other to stay on their property only moments after having just met. Kindness and generosity abound. Boondockers Welcome is a venue where RVers can connect and welcome each other to camp on their property, with no expectations of being paid in anything more than gratitude and a pay-it-forward spirit. Hosting RVers is so easy and gratifying – there’s no need to clean the bathroom or make up the guest bed. And there are always exciting travel stories to be shared, so conversation, if you’re interested in it, is always easy and enjoyable. Join the growing community of Boondockers Welcome, either as a host, as a guest, or as both. See for yourself how much the journey is improved by the friends you make along the way. To learn more or to sign up today visit www.boondockerswelcome.com. We are a paying customer with a referral relationship with Boondockers Welcome. Continuous Resources, LLC makes renewable energy more accessible for recreational vehicles, homes and businesses by providing quality solar power system components, including solar panels, solar power inverters, MPPT solar charge controllers and other energy saving products. We believe that their products will not only allow our customers to achieve low cost and reliability of electricity but also help to become better stewards through efficient energy use. Their selection of solar panels, MPPT charge controllers, inverters and generators will help you build a custom power system, whether you are working on an RV Solar Install, off-the-grid home project or want to install it as an additional source of energy. Their flagship line of products — pure sine power inverters — can also be used with other types of electric power sources, like vehicle, truck, RV or boat batteries. These products meet the needs for efficient energy use at home and on the road. Whether you are shopping for solar panels, batteries, inverters, charge controllers or generators…Continuous Resources has got you covered! We are a paying customer with a affiliate relationship with Continuous Resources. Escapees/Xscapers RV ClubThe Escapees RV Club is dedicated to supporting your RV lifestyle with everything you need to make it easier, more affordable, safer, and–most important of all–fun! Escapee/Xscaper members enjoy a comprehensive suite of discounts and support services, as well as numerous education options and access to the friendliest and most supportive community of RVers on the planet. From Benefits, Education and Community joining the Escapees RV Club will up your game in the RV world of living.Xscaper’s is a lifestyle group of the Escapee’s RV Club that is a diverse community of today’s active, adventurous RVers, dedicated to enabling their dreams of working and sharing life on the road. The Xscaper’s are inspired by the club’s original roots. Escapees founders Joe and Kay Peterson were just 43 years old and working on the road when they started full-time RVing. When they formed the Escapees RV Club in 1978, 40 percent of the members were under age 50, the majority were still working at least part-time, and nine of the first 100 member-families were traveling full-time with their kids. Xscapers is an extension of those original roots with the goal to bring Escapees back to its roots of providing services for working-age RVers. We are a paying customer with a referral relationship with Escapees RV Club. We have partnered with our friends over at the LivinLite.net Store who offer the very best in mobile connectivity solutions for your RV, tiny home, or your rural sticks and bricks household. LivinLite.net is a certified reseller of the industries best mobile routers, cellular boosters, and antennas including WifiRanger, Pepwave and WeBoost. They also offer truly unlimited data plans powered by AT&T’s nationwide 4G LTE Network. When ordering thru the LivinLite.net Store be sure also to use our Coupon Code “PauHana” at checkout for an additional 5% off on all storewide purchases (except on cellular data plans which are already discounted 50% off for your first month!) You’ll receive free shipping on any order over $99 and be supporting a fellow RV couple who knows exactly what it means to stay connected on the road. We are a paying customer with an affiliate/referral relationship with the LivinLite.net Store. In the Spring of 2018 we bought two Rad Rover Electric Bikes from Rad Power Bikes based out of Seattle, Washington. From the very first rotation of the pedals you will feel the difference a Rad Power Bike offers you. You will turn heads on your next ride and make running errands an epic adventure! Once you experience the long-range 48V Lithium-Ion battery pack and the feature rich accessories, you’ll never look at your commute the same way again. Get radical, go further, and have more fun for under $1,500! We are excited to share the ride and be sure to tell them Pau Hana Travels sent you ($50 Referral Program available to all Rad Power Bike Owners.) . 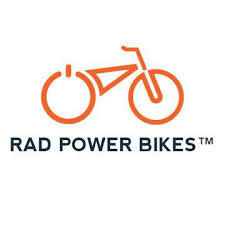 We are a paying customer with a referral relationship with Rad Power Bikes. Get high quality, low cost water filtration systems and products for RV’s, Tiny Houses and boats with unprecedented personal customer attention. 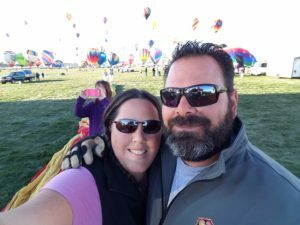 Owners, Dave and Tracey Brannam, fellow full time RV’ers with a passion for clean water and healthy living, are committed to continuing the legacy that Rick and Lynn Dahl began in 1992 by providing excellent products and quality advice to fellow RV’ers, tiny house or boat owners to be able to enjoy clean water wherever they go! To learn more, visit RV Water Filter Store and tell them Pau Hana Travels sent you. We are a reviewing product partner with RV Water Filter Store. Every RVer knows that leveling matters. That’s why we have partnered with RV SnapPad who has designed the world’s only permanent jack pad made out of recycled tires. RV SnapPads not only improves the look and feel of your rig, but eliminates all of your major leveling hassles. 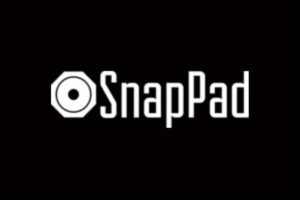 View their current product line to see if SnapPads work for you, or join their waiting list and they will notify you when they release a new SnapPad version that’s right for you. To learn more about RV SnapPad visit www.rvsnappad.com today. We have a reviewing product relationship with RV SnapPad. Affiliate Disclosure: If you purchase any of these products through these links, we may earn a small commission at no cost to you or we’ve already received compensation of products or services.